The cork tree which is only present in Galicia in the most sheltered areas of the river, has one of the best mixed forests in Galicia, in the Ulla basin on the banks of its tributary, the Arnego. 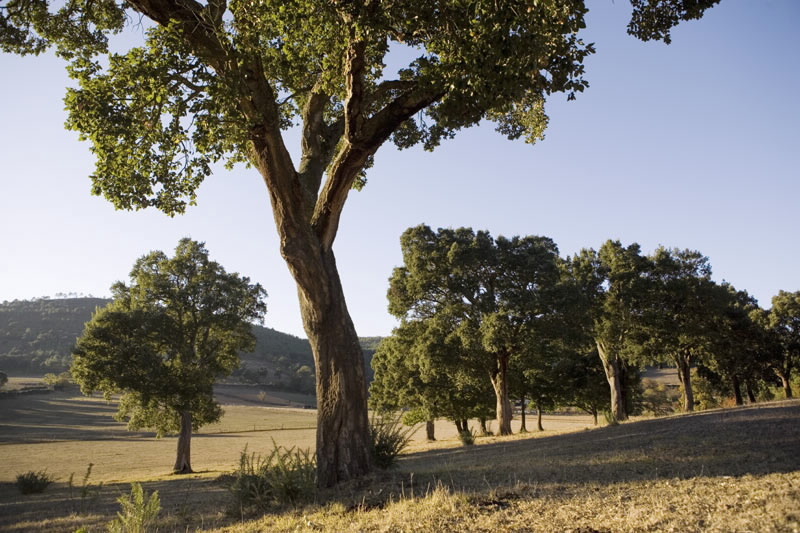 The cork trees are mainly accompanied by oak trees. The tallest ones can reach up to 25 metres in height, and in the most accessible areas the trunks show the scars of the exploitation of the bark. One of the best places to approach the Arnego, where the cork tree grows thickly, is the valley of Carmoega, in Agolada. On the path of the mills there is a good fishermen’s path with a recreation area. To reach Carmoega, turn off on the local toad between Vila de Cruces and Agolada.